I've heard that St. Pete is filled with older and pricier apartments. Is this true? Trinity Palms offers amazing apartments without the high cost. The city of St. Petersburg is an eclectic area mixed with historic embellishments and modern design. With nearly 2.8 million residents, St. Petersburg is the second largest city in the Tampa Bay area. Located between the shores of the Gulf of Mexico and the metropolitan boundaries of the Tampa Bay, St. Petersburg is a perfect spot for those who desire vivacious vacation dreams of the beach while being able to venture the multi-cultured city. Without question, the St Pete area is a worldly attraction for retirees and tourist alike who flee to escape the season of colder climates. Known as the sunshine city, St Petersburg averages 360 days of sunshine year round. It is no wonder that the city is the fourth most populous city in the state of Florida. St Pete was founded in 1876 and later named after St. Petersburg, Russia. When traveling around the town you will definitely notice the European include that has been engraved in the town. From the paved brick pathways and historic 100 year-old homes, St Pete has well preserved their thriving community. St. Pete has nearly 100 neighborhoods in the area. Most of these neighborhoods are deemed “historic” districts. 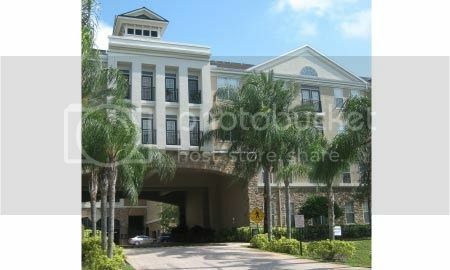 However, there are many newer and upgraded St. Pete apartments as well. Downtown St. Petersburg is the thriving and demanding district of business. Here, you can expect to land yourself a high-rise apartment with a breathtaking view of the city and her ocean. The downtown area is filled with young and ambitious business professionals and students. Although downtown is intermixed with historical elements of the city such as the Mehaffey Theatre and the Coliseum, the area has expanded with newer buildings and living communities. The University of South Florida also has a campus located in the downtown district. When looking for apartments near St. Pete in this district, you can find more affordable communities near the South Florida Campus area. Once you get closer to the skyscraper clutters, the prices tend to be more expensive, just as they would be in nearly every comparable city. Downtown St Pete is the best place to begin your search for a newly built home at an affordable price. If you are seeking an older apartment equipped with vintage charm and allure, you have definitely come to the perfect city. The older buildings in St. Pete are built with cozy character. From restored solid wood to rustic fireplaces, communities in this area will definitely feel like home. However, some areas of the historic neighborhoods are pricier than newly built student areas. Many historic neighborhoods in this town, such as Historic Old North East, are in high demands for their prime real estate location for many new families and hipsters who seek to capture vintage suburbia. These areas are surrounded with plush parks, million dollar homes and trendy shops and dinning. If these types of communities spark your interests, try looking in neighborhoods such Crescent Lake, Historic Uptown, Woodlawn, and Euclid. Although some bounded neighborhoods in St. Pete are in higher demands than other areas of the city, there are still plenty of locations where you can find a cheaper and affordable apartment that are within your budget. Depending on where you set your financial peeks, you will surely discover luxury lofts and cozy communities within your price range. In order to search for a new place, you can use our apartment locator in order to help you discover the perfect place to call home. In order to search for near by communities in the St. Pete area, all you have to do is plug in your search criteria into our custom built search tools. You can begin your search by looking for properties that are within your budget or you can even look for possible new pads located in your desired district or city. Within minutes, our locator will pull a list of properties that contain your search criteria. You can click on each icon to learn more about the community or even compare prices with the competing areas. When scoping out the St. Pete area for a new place to live, you will have the option to choose a new home with modern appeal or a vintage charmer that encompasses old world allure. Keep in mind that specific districts and neighborhoods in the city are more expensive than other areas. However, there are cheaper parts in town with newer and more affordable living.